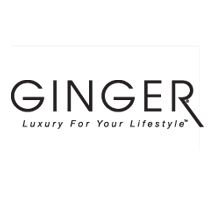 For over 30 years, GINGER has designed luxurious brass bathroom accessories, lighting products, and mirrors. From brass cabinet hardware to bathroom mirrors, GINGER bath accessories feature clean lines, modern flair, and flawless beauty. GINGER bath hardware, mirrors, towel holders, and other bath products are available in a variety of finish choices and styles to help achieve the perfect look for your bathroom. Whether you seek a contemporary feel or a more traditional look, GINGER faucets, bath accessories, and mirrors can help give your bathroom a spa-like experience.